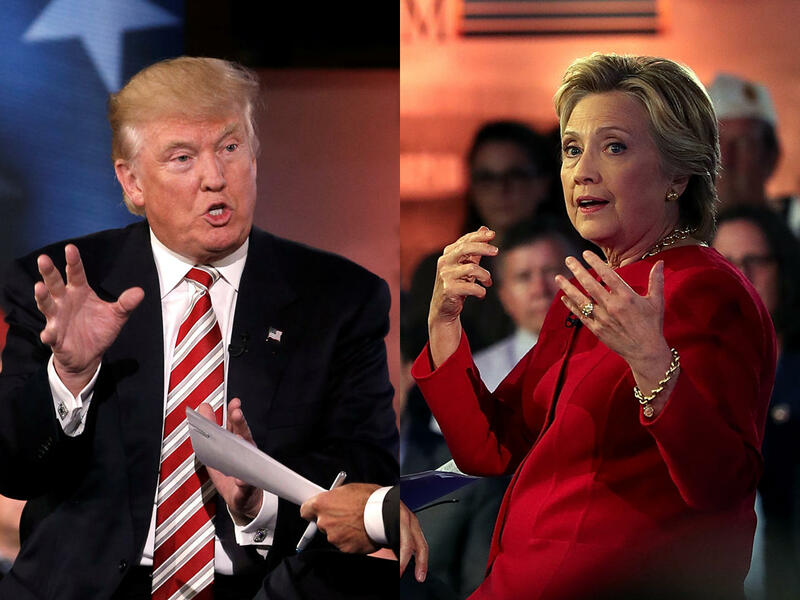 With Election Day just under eight weeks away, the race for President nationwide is tight. In a two-way match-up, Clinton has a slim edge over Trump, 46 - 44 percent among likely voters who support or lean toward a candidate. This is the first national poll in which CBS News and the New York Times have measured the presidential race among likely voters. The measure for likely voters takes into account voters’ reported intent to vote, enthusiasm about voting and other factors that historically affect an individual’s decision to vote. Among the broader electorate – registered voters nationwide – Clinton leads Trump by five points, 46 percent to 41 percent. When third party candidates Gary Johnson and Jill Stein are factored in, the race is tied, with Trump and Clinton each getting the backing of 42 percent of likely voters. While Clinton and Trump retain most of their support when Johnson and Stein are included, slightly more of Clinton’s supporters move to Johnson or Stein, compared to Trump’s supporters. Among registered voters, Clinton has a slight edge over Trump in a four-way contest. Most Clinton and Trump voters say they’re sticking with their candidate. Ninety-two percent of Trump voters and 94 percent of Clinton voters say their choice is set. Few say they will change their minds before the election. More specifically, Trump supporters are more excited about voting than Clinton’s supporters are. Forty-five percent of Trump voters say they are very enthusiastic about voting, compared to 36 percent of Clinton backers who feel that way. Just over half of each candidate’s voters say they strongly support their candidate, but for many, support is not so strong - including a quarter who are voting for their candidate because they dislike the other choice. Trump now garners support from just under nine in ten Republican voters, as does Clinton among Democrats. A look at the candidates’ demographic support also illustrates why the race is close. A gender gap remains: Trump has a double-digit lead over Clinton among men, while Clinton is ahead by a similar margin among women. Trump continues to struggle with African American voters but has an advantage over Clinton among whites. Whites without a college degree are strong supporters of Trump (58 percent back him), while Clinton leads Trump among white voters with a college degree. Clinton is ahead of Trump among voters under 30 but she is not getting the level of support Barack Obama received in 2012. 48 percent of young voters are currently backing her, while Obama won 60 percent of the young vote in 2012. Only 29 percent of young voters are supporting Trump, but 21 percent say they’ll vote for someone else or won’t vote. After Clinton’s bout of illness at the 9/11 ceremony and the announcement of her pneumonia diagnosis, more than four in 10 voters think each presidential candidate should release more of their medical records. About as many think the candidates have released enough information about their health already. The poll was conducted before either candidate’s recent release of medical records. Over half of Republicans think Clinton should release more medical records concerning her health, but 52 percent think their nominee has released enough information already. Among Democrats, most (53 percent) say Clinton has released enough health information already, but want Trump to release more of his records. This poll was conducted by telephone September 9-13, 2016 among a random sample of 1,753 adults nationwide, including 1,433 registered voters. Data collection was conducted on behalf of CBS News and The New York Times by SSRS of Media, PA. Phone numbers were dialed from samples of both standard land-line and cell phones. The sample of likely voters is modeled among registered voters (N=1,433), assigning each respondent a probability of voting based on their responses. The margin of error for the sample of likely voters is plus or minus three points.